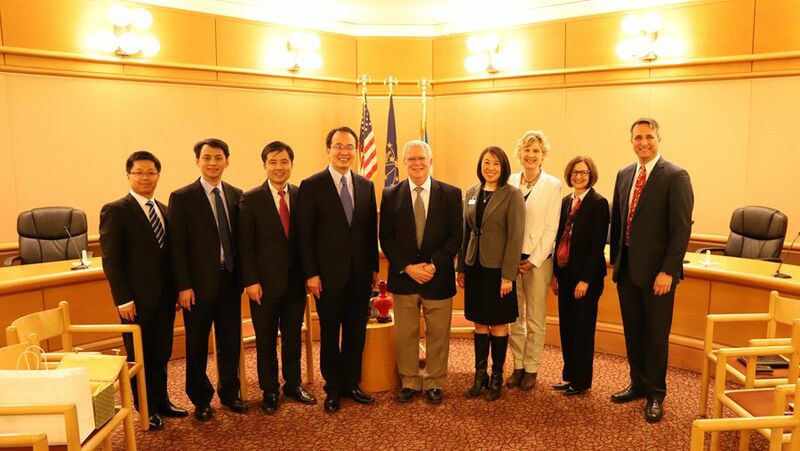 On April 4, 2018, Consul General Hong Lei visited the City of Columbus in Indiana and met with City Councilman Frank Miller. Councilman Elaine Wagner and Deputy Mayor Mary Ferdon also attended the meeting. Councilman Miller welcomed Consul General Hong Lei to visit Columbus, and introduced the city’s exchanges and cooperation with China and its efforts to attract business and investment. Councilman Miller said that Columbus has an advanced manufacturing base led by the multi-national corporation Cummins. Columbus has the most internationalized labor force in America. A lot of them are engineers and technicians. The city provides them with a good living environment. The city values developing ties with China. In the past 13 years, the city has organized delegations to visit China annually, and established sister city relations with Xiangyang and other seven Chinese cities. The Chinese communities here are very vibrant, making important contribution to the city’s development. He wishes more Chinese companies could invest in Columbus. As a city highly reliant on export, Columbus firmly supports free trade and wishes the Federal Government could solve differences on trade with China through dialogue and negotiation. Consul General Hong Lei thanked Councilman Miller for his warm reception and hospitality. He said that as an important city in Indiana and the headquarter of Cummins, Columbus has a solid foundation and broad future for cooperating with China. 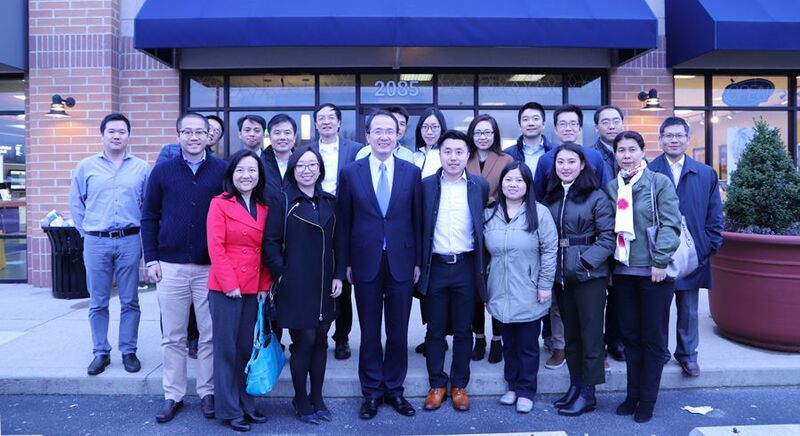 The fact that the City of Columbus has sister city ties with several Chinese cities is conducive for expanding cooperation between the two sides. The continuous development of China will bring more opportunities to the world including America. Consul General Hong Lei welcomes Columbus to take advantage of the fast development of China to realize its own development. The Consulate General in Chicago would like to serve as a bridge for the City of Columbus to enhance exchanges and cooperation with China. Consul General Hong Lei also met with members from the local Chinese association and Chinese association of Cummins.